AS part of their ASDAN Stepping Stones programme, some of our Year 7 students recently visited the Ironworks Centre, Oswestry. 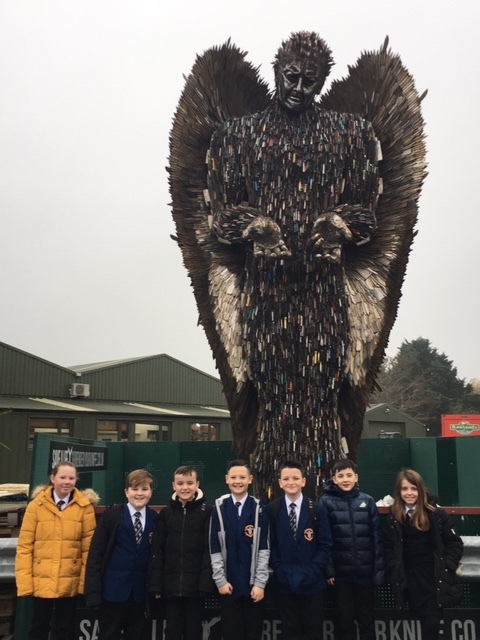 The are shown below, standing in front of an angel made of knives, which is part of the “Save a Life – Surrender your Knife” project. The project aims to highlight the current knife crime epidemic, whilst raising awareness and education. Read more about ASDAN , here.